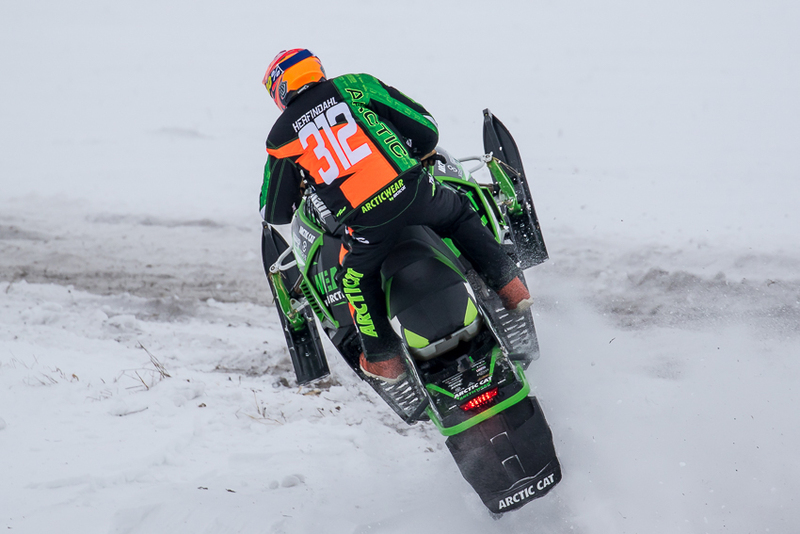 Fertile, MN (January 26, 2016) -Christian Brothers Racing cross-country riders competed on home turf this past weekend, January 24-25, at the USXC Seven Clans Thief River Falls 250. 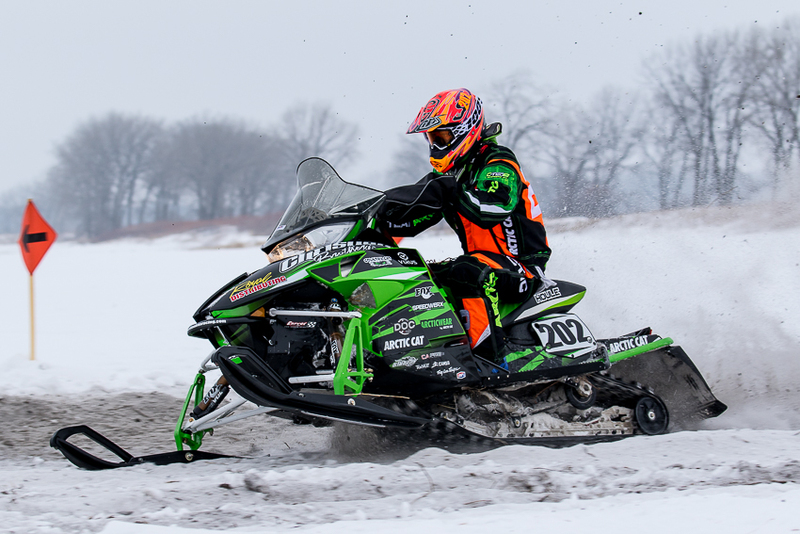 Thief River Falls is home to Arctic Cat snowmobiles, the very same snowmobiles that power the team to victory every race weekend. Staged out of Seven Clans casino, the two-day event brought riders on a course that traversed some of the same ground the prestigious I-500 has used over the past decade. Riders made a loop to the town of Goodridge on Day 1, and on Day 2 headed for Plummer and Oklee, racing mainly road ditches both days. And, in a break from the past two race weekend, temperatures were mild, hitting mid-20s both days. Fresh off a sweep of the Pro classes in Grafton, Zach Herfindahl made it two perfect weekends in a row, sweeping Pro 600 and Pro Open on the weekend. Herfindahl was in second place on the time charts after Day 1 but got on the gas the second day to record the top times for the weekend. "I passed 11 riders on Day 1 and finished in second place, 14-seconds behind the leader,"said Herfindahl. "Day 2 we started on total time so I left 14-seconds behind the first rider. I made up ground and with 6-miles to go made the pass to take first place. Overall, it went really well for the team." Like Herfindahl, Ryan Trout moved up in the order, improving from 4thplace in Semi-Pro 600 on Day 1 to finish 3rdoverall in the class after Sunday's racing. In Semi-Pro Improved, Trout led both days, taking the win in the class. "We had a great weekend in Thief River Falls,"said Trout. 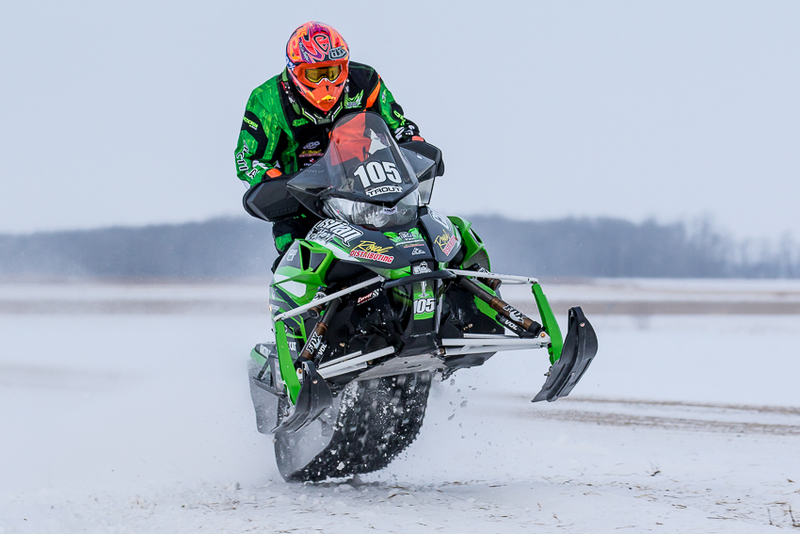 "I had a good, safe race, never came off the sled. With the flat light it was hard to see which made it difficult to push hard." 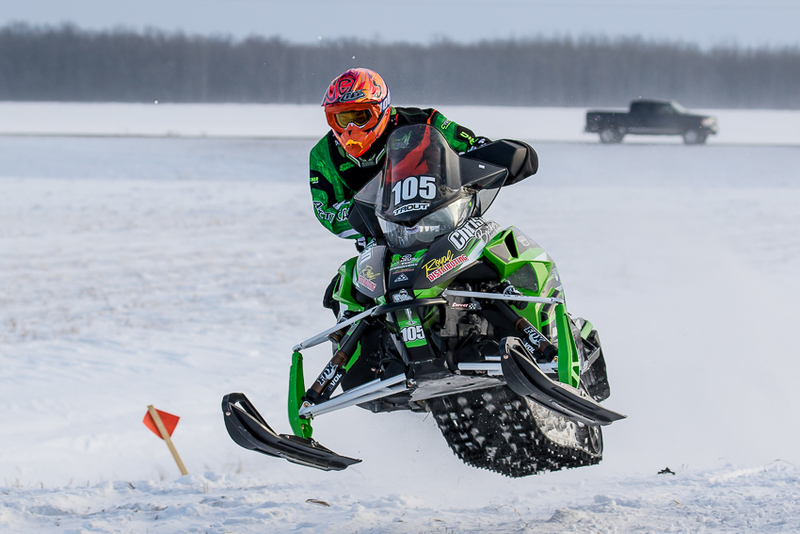 After Day 1 Hunter Houle sat atop the time charts in Expert 85 and Expert 85 Improved and it was looking like a class sweep until a penalty dropped him to second on the time charts. "It was a fun, high-speed course,"said Houle. "It was overcast both days so flat light made it tough to see. After two days I had the fastest time in both classes but got a time penalty for aggressive driving. I don't agree with it but there's nothing I can do about it. We'll regroup and come back strong for Park Rapids." Next up for Christian Brothers Racing cross-country riders is the USXC Park Rapids 106 in Park Rapids, MN, January 30-31, 2016.